Angeline, 48 years old lives with her sickly husband. She is famous in her village because she constantly gets twins. So far, she has 13 children, two of who are girls. She worked in the artisanal cobalt mines in Kanina, Kolwezi, for nine years even when she was pregnant. “In the mines, I would do both digging for and washing the minerals. Twice, when I was pregnant, I experienced a landslide”, Angelina tells. “All the sand came falling down on me. I went back home and told my children that I could no longer work in the mines, but I had to return to the mines again after some days because we no longer had any food to eat.” Angelina stop working the mines when she visited the Bon Pasteur school and decided to ensure that all her children received an education and enrolled them at the Bon Pasteur Child Protection Centre. Maman Angeline registered herself for the technical training where among other things, she was taught tailoring. In addition to that she joined the Maisha cooperative where she was taught new farming techniques, how to handle her harvest and how she could earn and income from it. 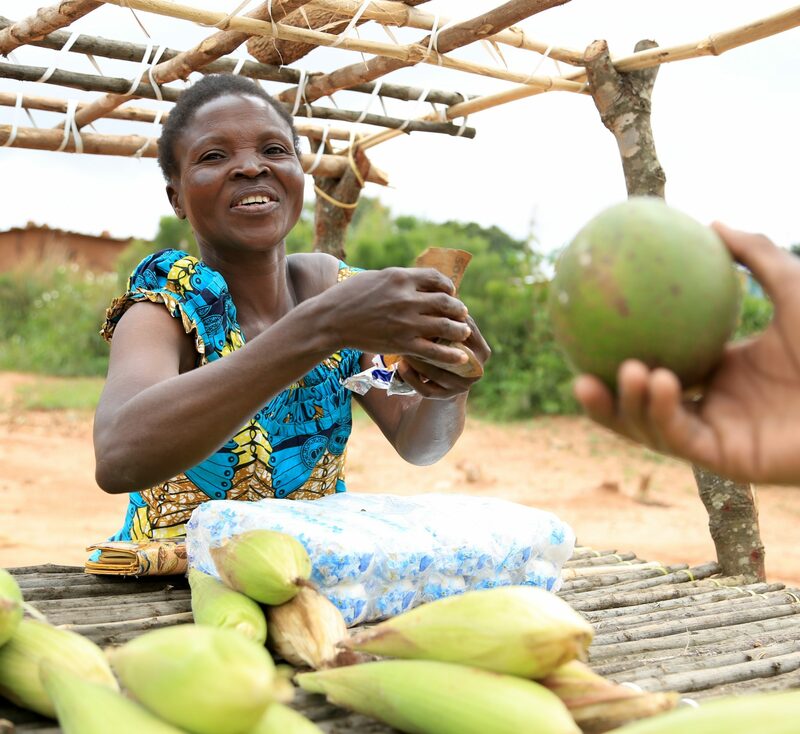 She plants maize, cassava, pumpkins and other crops on the 1.5 hectares of land allocated to her and she sells the produce on her stall .“With the money that I earned from my first harvest, I paid for school fees for two of my children. Through the trainings, I now have all these new ideas which means I can never be idle, I am now eating better and I am self- reliant”.